Functional and stylish, the Delta Composition New 2010-004 is a decorative piece all on its own. 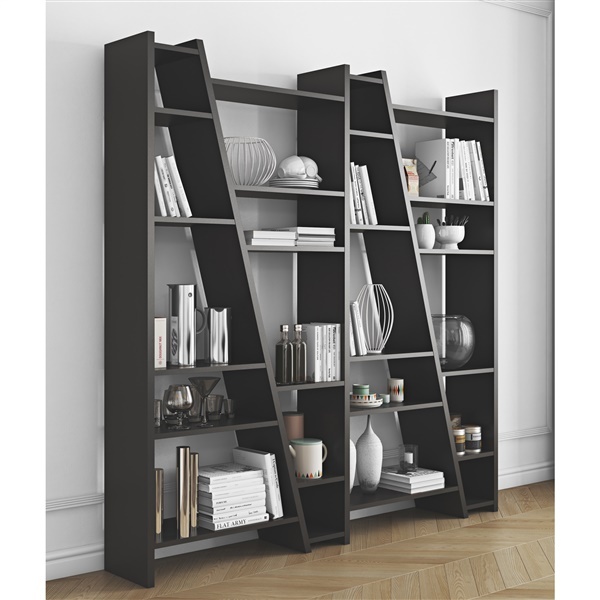 The unique shelving unit is beautifully crafted of durable materials and features 24 shelves, providing plenty of room to display your DVDs, CDs, decorative accents and some of your most cherished belongings. An edgy storage solution that will enhance and illuminate any modern living space, the Delta is available in your choice of color to accommodate your taste and interior design.